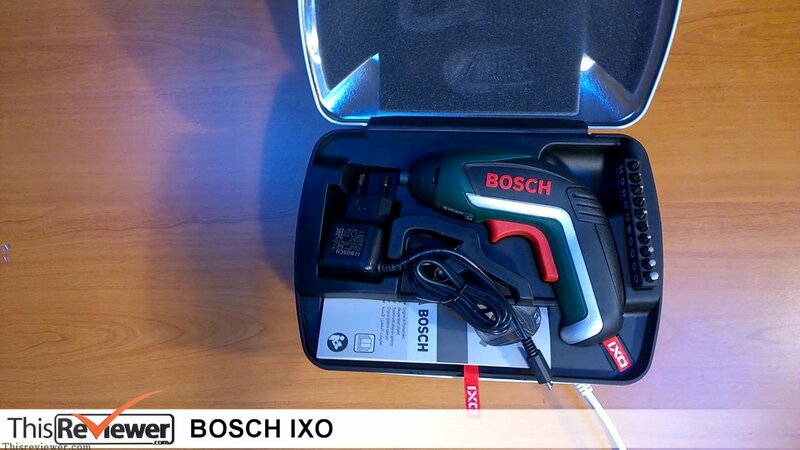 The cordless screwdrivers market is massive and ultra competitive and as such its hard to find something g that stands out, the Bosch IXO is trying to do that and in a sense it has really succeeded. Not only is it of very good quality but also very cheap, a perfect present for the DIY enthusiast. 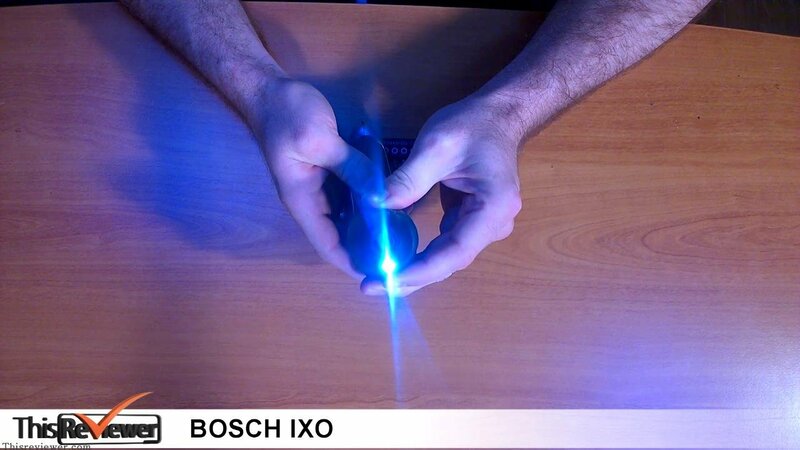 This IXO is the 5th Generation and it shows! DESIGN It’s very comfortable to use and the top button slides easily between forward, backwards and the mid position which is the hold setting. 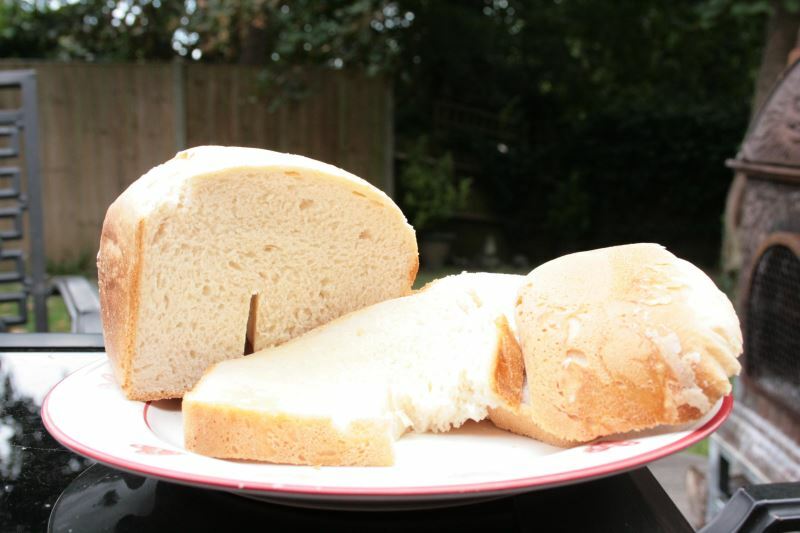 The ergonomics of the handle can be faulted at all and feel second nature after a bit of use. As a matter of fact the design reminds us a little of the phasers in Star Trek (for any fans out there it’s the perfect prop) and with the light it’s a close substitute for the real thing! The rubberised back part of the handle itself makes it perfect to use for a longer time as it won’t rub against your hand to much and it also makes the grip much sturdier. The length and weight, being 17cm from tip to end of handle and 312 grams makes it more than light and small enough to handle for longer periods as well. On the top of the tip there is a very bright white light, this light, we found, is uncannily useful! Let us explain, first we didn’t really notice it but after a while its usefulness is unquestionable, once your are under that sink or in a tight spot, which happens all the time, the light is there and we found using it as a torch as well become a normal and natural act. If you press the trigger slightly the light comes on without the screwdriver! It’s a really good feature and a great part of this tool. After 4 hours of constant usage the battery was still going strong, we found that it took 2 days of moderate usage for it to go! Its comes with a lithium-ion battery and apparently it has no memory effect a no self discharge feature, we can’t test that but we don’t doubt it. 2 days of battery usage is not bad at all! The Top also has a battery indicator that shows when it needs to be charged again, and this is not a massive feature as you’ll notice when you’ll need a new charge but again, a nice little thing to have. It charges through a Micro USB port which is GREAT as this can also be plugged into your micro USB mobile phone charger, which we did and it worked, which means one less charger on the job! 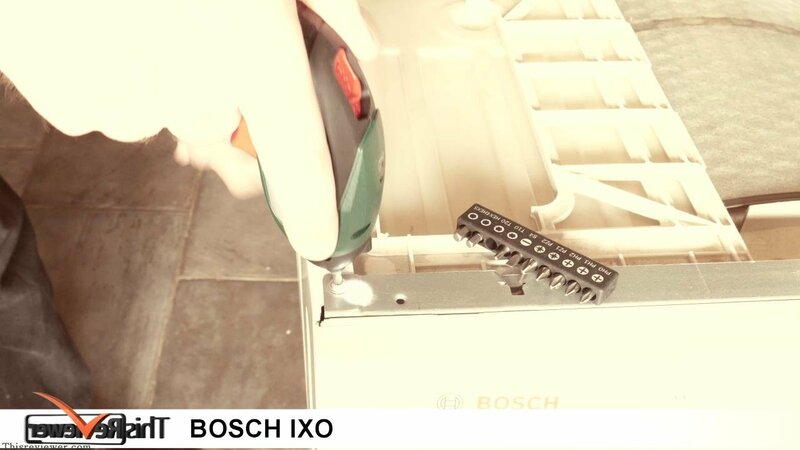 You might find it hard to believe but the IXO can be connected to a range of adaptors to make it even more useful. We have things like Torque setting adaptor which makes it into a perfect heavy duty responsive screwdriver, an Angle Screw Adaptor for those tight spaces, Off Set Angle Adaptor to make tight fitting screws easy to get at and a Cutting Adaptor. 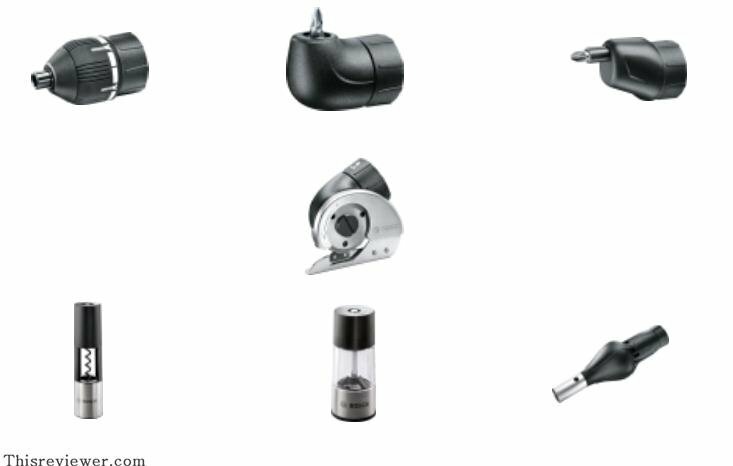 Then we come to the really odd but GREAT adaptors, Corkscrew adaptor for those, errrm, wine moments. Salt and Pepper Mill adaptor and, okay, just for the record, we are NOT making this up, a Barbecue Blower adaptor! 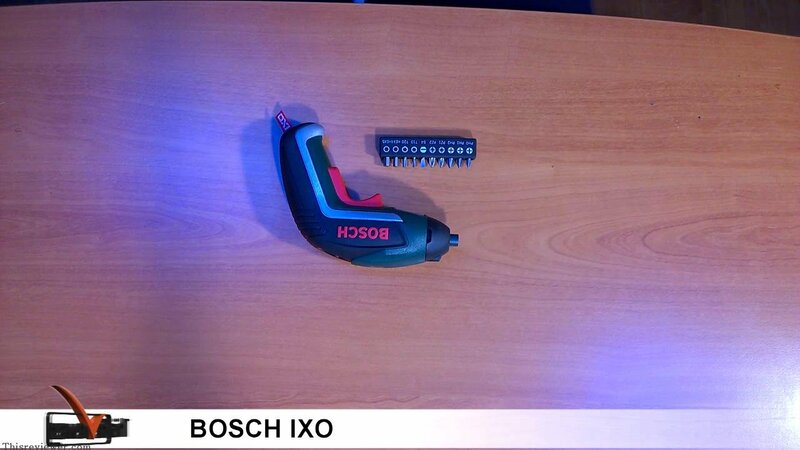 There is no doubt that Bosch has put some real thought into this tool and further uses! The tip comes of easily and the adaptors, just, snap on. Its powerful, very very powerful. It handles the biggest screws we could throw at it and it handled them most with ease. We were slightly worried about over doing a few screws and ruining them but after a while you get the feeling in your hand when to stop. 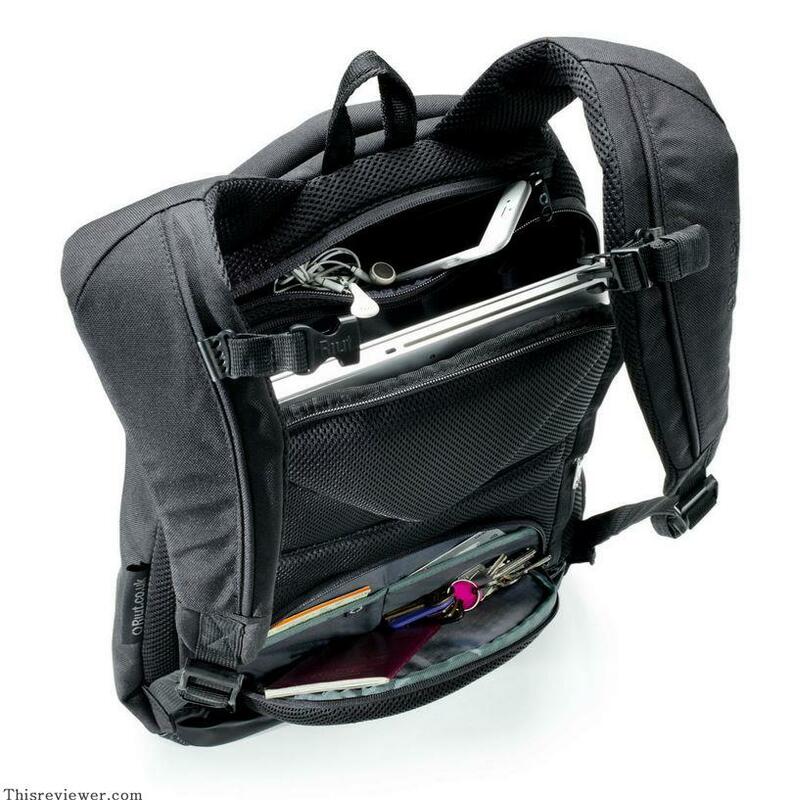 Its becomes second nature and is another testament to the IXO ergonomic design. Not everything can be perfect and the delivery tin is one of them. 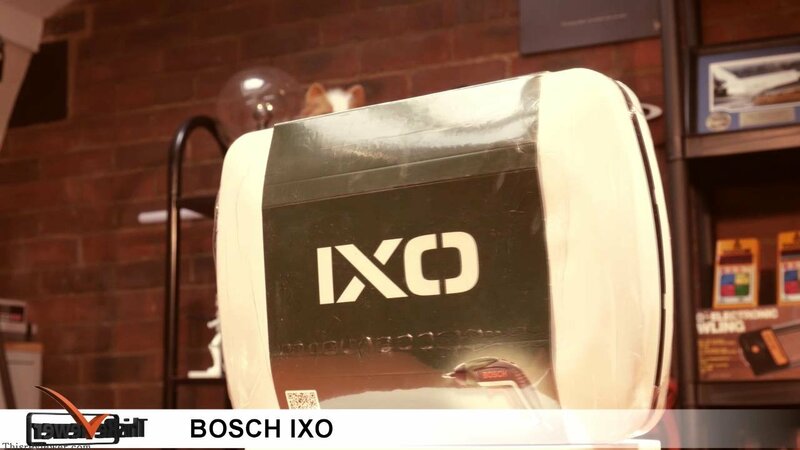 We have no problems with storing this IXO in the drawer, toolbox, glove compartment or indeed on the kitchen table but, the tin. It seems such a waste that it can not be turned into a wall hanging storage system or the internals can be removed and an added handle for a mini toolbox. The tin is great as a present BUT with a little thought could have been turned into something really useful. Is this a deal breaker? Far from it, just one of those little things. 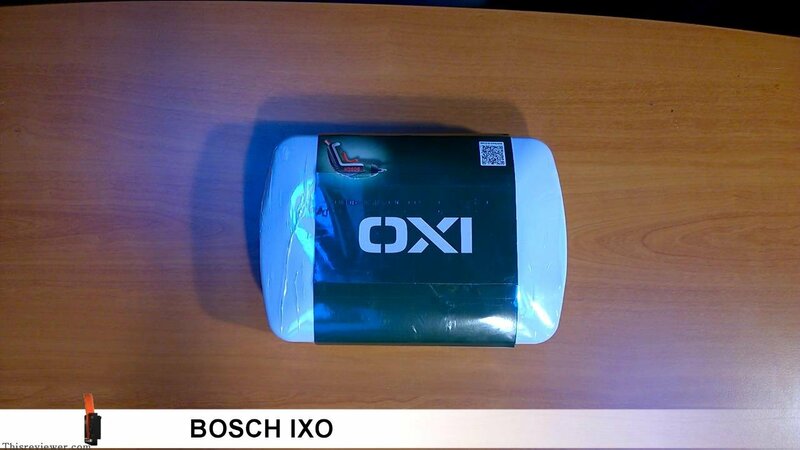 We had this IXO for 2 weeks now and its great, we got 2 and we sent one with a tradesman and he has nothing to say but positive things about it as well. It really is a good tool for the price! A highly recommended tool for any person be it professional to the hobbyist DIY person.